Melania Trump is about as tone deaf as they come. 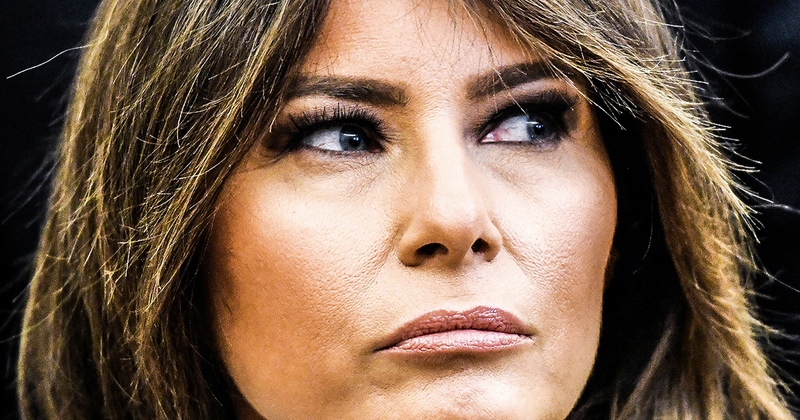 The day after her husband attacked everyone on Twitter, including a dead senator, she decided to host a “Be Best” meeting where she talked about how dangerous online bullying can be. She cannot be taken seriously on this issue while ignoring her husband’s disgusting behavior, as Ring of Fire’s Farron Cousins explains. Yesterday. First Lady, Melania Trump hosted her first inter agency working group on youth programs, which is a part of her be best campaign. So Monday, yesterday, Melania Trump basically gathers some people from government, different agencies sits down and talks about her be best campaign to tackle online harassment and bullying at the same time that she was doing this, her husband was going on a tear on Twitter attacking the UAW, attacking GM and attacking Joe Biden as a low Iq individual. So to put that again in perspective, Melania Trump is doing this little PR stunt telling people that we have got to do something about online bullying while the man that sleeps in the same bed with her is literally online bullying people. Melania Trump has zero credibility on this and so many other issues, but her attempt to say, Oh, I’m going to work on this thing without addressing the biggest bully in the United States is utter insanity at this point. Her thinking that we should take her seriously is pure, crazy talk. This woman doesn’t know what she’s doing and yes, be best is a noble cause. Online bullying is a very real problem in the United States that needs to be addressed, but she’s not the one to do it because she can’t even address her own husband about his horrendous and disgusting behavior on Twitter. You know, just a few weeks ago, a spokesperson from Melania Trump’s office of, of the first lady, uh, they said that, yeah, we know Trump does these things, but you know, he’s really not a part of this. He’s kind of exempt from be best. We’re not going to try to rein him in. We’re not going to address the fact that the president of the United States is the biggest online bully in this country. On Sunday, the day before Melania held this little a PR stunt. This is what her husband did on Sunday. According to raw story here, president Trump posted 50 tweets or retweets over the weekend, attacking a rerun of Saturday night live along with Hillary Clinton, the Democratic Party, CNN, the Mueller investigation, the late Senator John Mccain and his daughter, the United Auto Workers Union General Motors and its CEO, Mary Barra and Fox News anchors. So Trump spends the whole weekend bullying people on Twitter, attacking them for no reason, lying about them. Then the next day, Melania says, all right, time for my online bullying meeting, please while I’m gone. Of course she didn’t say that, and then while she’s in the meeting, Donald Trump has once again back on Twitter, bullying people. I don’t want to hear anything else about be best, not one, not one single thing until Melania Trump has the courage to stand up to Donald Trump and say, shut your damn mouth on Twitter. Stop being such a jackass to every other human being that disagrees with you. Or I walk anything short of that and I don’t want to hear another word about be best again.